Revolutions by their nature are often very disruptive to the traditional order. 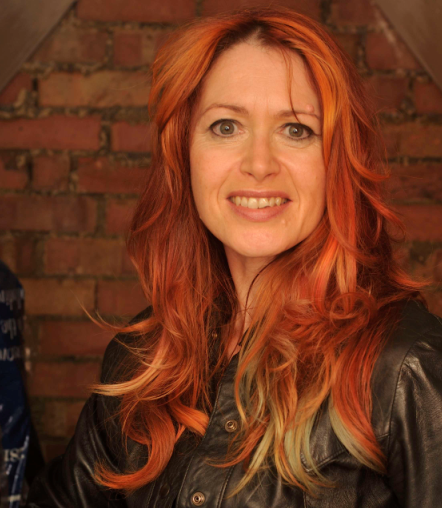 Change can be a gradual thing that often creeps up on people. Then as people become aware of the full implications, vested groups often see these new emerging developments as a direct threat to their interests. Exactly that is happening right now and here history can be something of a guide. Back in 1764, James Hargreaves from Lancashire, England, applied for a patent for a machine called a Spinning Jenny. This event, along with the invention of the steam engine, were two of the direct contributors towards the beginning of the industrial revolution that was to change our world forever. The Spinning Jenny inspired the creation of mechanised looms, something that a group known as the Luddites took an exception to. They saw the new automated weaving factories as a direct threat to manual worker jobs and set about destroying them. However, despite the Luddites considerable protests and resistance, the industrial revolution carried on regardless. Today, we are once again witnessing the beginnings of a similar paradigm shift and this time concentrated on the area of transportation. Currently, there is a gradual movement away from the combustion engine towards alternative forms of propulsion, specifically electric vehicles, EVs, that is rapidly gaining traction. I have to declare an interest here as I am lucky enough to own a Tesla that I absolutely adore. 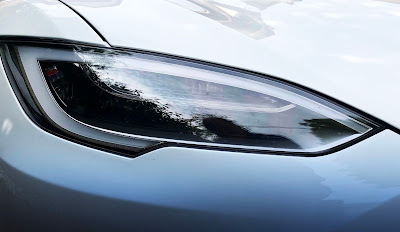 Therefore as owner, in this article, I'm going to attempt to counter some of the misinformation about EVs that are out there. Electric vehicles only have a range of a hundred miles. They aren’t really that green because their energy comes from the fossil-fuelled power stations. The batteries don’t last very long and need to be replaced frequently. Lithium batteries use cobalt from regions that exploit child workers. Electric vehicles are always catching fire and blowing up! So let’s step through each of those points in order. Range anxiety is one of the biggest things that puts people off buying an EV. However, to clear one thing up straight away, EVs today have a far greater range than 100 miles. Tesla, which is currently the EV manufacturer to beat, has 230 useable miles for its base range MS 75D model. For the 100D model, this range rises to 335 miles. Not enough range for you? Well to put this into context how much do you drive in a typical day, below a hundred miles? And how often do you have to queue for fuel? Once a week? Most of the time with an EV you charge at home so you nearly always start your day with a fuel tank of energy. So what about those longer trips where internal combustion engine, ICE, vehicles come into their own. I don’t know how big your bladder is but I need to stop every so often for a comfort break. Tesla once again leads the pack here with their extensive Supercharger network and it looks like other manufacturers are starting to follow this philosophy. The speed that these chargers can recharge your vehicle can be remarkable. To give a real-world example, I thought I’d stop for lunch next to a Supercharger in Norfolk recently. In twenty minutes, faster than it took for my food to arrive, my car had been recharged to eighty per cent. Pretty impressive. And just think for a moment how you use motorway service stations, at least in the UK. Most people typically stop and grab something to eat, and then maybe buy their fuel afterwards (if you can afford the exorbitant price of motorway service stations). With an EV car after your lunch your car is recharged and ready to go, so need for that extra fuel stop that ICE vehicle owners have to do. Additionally, battery technology is advancing and you can expect to see far great range in future generations of vehicles. This impression is probably based on the very first electric vehicles but is certainly no longer true. My car, for example, is the base Tesla MS 75D model and the performance is astonishing with 0-60 mph in 4.2 seconds. Combine this with ease of launch and even vehicles that are faster on paper often have a hard time keeping up with a Tesla from a standing start with its endless supply of torque. And we are talking about the base model here. The Tesla P100D performance model with its famed ludicrous mode pushes the 0-60 time to 2.3 seconds is faster than many supercars. All I can tell you is that in a real-world situation my slow Tesla is plenty fast for me and certainly faster than any vehicle I’ve owned previously. Once again this is a blinkered look. In the UK, a country that has been shifting over to a greener grid for some time now, a huge proportion of the energy produced is increasingly supplied from green sources such as wind and solar farms. The move towards renewable sources is accelerating every year and this trend isn’t set to reverse with coal powered power stations being rapidly phased out. In addition to this, as an EV owner, you can take the matter into your own hands and install solar panels on your roof that you can then charge your car with, or export the excess back into the grid. After your initial investment has paid for itself you can harvest free fuel for your EV. With ICE vehicles there is another energy cost known as Wells to Wheels. This is the cost of energy required to get fuel from a hole in the ground to a car. It takes far less energy to distribute energy, whatever the source, to an EV. In other words, an ICE car creates more twice as much carbon pollution as an EV. And as energy generation goes greener the lower that figure for EV pollution will become. Not true with Tesla vehicles at least. In a number of countries, Teslas are sometimes used as taxis. Some of these cars have already passed 300,000 miles with battery degradation at the ten per cent mark. Compare that to an ICE vehicle of a similar mileage and the effect on its range and performance, and these Tesla numbers are outstanding. And we haven’t even touched on the much cheaper running costs of electricity compared to petrol and diesel. There is also a far lower maintenance cost as there’s little to wear out on EV when compared to an ICE vehicle, with even the brakes lasting an exceptionally long time because of regenerative braking used by EVs. That is true today for an EV vehicle compared to an ICE alternative, but this has everything to do with the cost of batteries and that cost is currently falling. Right now it’s around $209/kWh. By 2025 it’s predicted to be $100/kWh and this is a very significant marker. Why? Because at that price point EVs become cheaper to manufacturer than an ICE comparable vehicles. And the good news here is that it will make EVs far more affordable for everyone to buy. Lithium batteries used cobalt mined from regions that exploit child workers. This is probably the hardest arguments to counter as much of the world’s current cobalt production comes from the Congo where awful child labour conditions exist. However, once again things are beginning to change and Tesla are amongst the leading manufacturers in tackling the problem. Tesla recently announced a move towards a new design of battery with a much lower use of cobalt. Tesla specifically, sources their cobalt from the Philippines and Canada. In addition, as the demand for cobalt raises the case of creation of new mines in less geopolitically sensitive countries, will start to be opened. The Congo is not unique in having cobalt deposits. How many times on the media have you seen an EV fire reported and often it makes headline news. You may be under the impression that driving an EV is like riding in an unexploded bomb. This is a highly false impression brought on by media bias. To put this reporting into context, in the US there are 152,300 combustion engine fires every single year. By contrast, there are a handful of EV fires and even factoring in the far great number of ICE vehicles on the road, you would still have to have ten times the number of EV fires to get to a close percentage. The problem and very real danger of ICE vehicles is that they use a highly combustible fuel source. EVs are inherently safer and the statistics back this up. Lithium fires can be more tricky to put out, but fire crews are being trained about how to do exactly this. The problem for the media is that ICE car based fires are so common that they are not viewed as worthy of being reported unless the fire blocks a considerable amount of traffic. Consider that the next time you hear an EV fire once again making headline news. This article isn’t meant to be an exhaustive list of arguments to support the adoption of EVs, but at the very least will hopefully help to counter some of the misinformation out there that you may have heard. 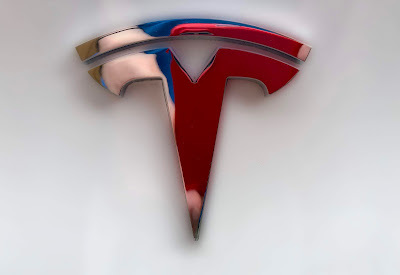 There are, of course, a lot of vested interests who want to see manufacturers like Tesla fail: from oil-rich countries, who see the rise of EVs as a threat to their long-term profits, to rival traditional car manufacturers that have been till now slow to react the disruptive EV (Spinning Jenny like) effect on their core industry, And of course, let’s not forget many of the shorters of Tesla stock, some of which who have a very real incentive to see Tesla fail (Tesla is the most shorted stock on the market). Regardless of what happens next, much of the world of transport is going to move towards EVs and that is a change for the better. Many traditional car manufacturers are at last getting serious about EVs and will be releasing new vehicles over the next few years. And that is nothing but good when it gives the consumer a greater choice in their purchasing decisions. The shift towards EVs was always one of Elon Musk's stated aims with Tesla, to show just how good EVs could be and to encourage other manufacturers to move towards them. With a wide range of companies now planning to release their own EVs, you could say it's mission achieved for Elon Musk. I'll close this article by saying, based on my own experience, my own Tesla is by far the very best vehicle I have owned. From performance to the sheer relaxation of driving one, to how the car is continually improving with over the air updates (just like your mobile phone), to the very impressive Autopilot system. If you don't think EVs are a viable alternative to an ICE vehicle, I encourage you to grab a test drive in one because I think you will be seriously surprised. So what do you think? 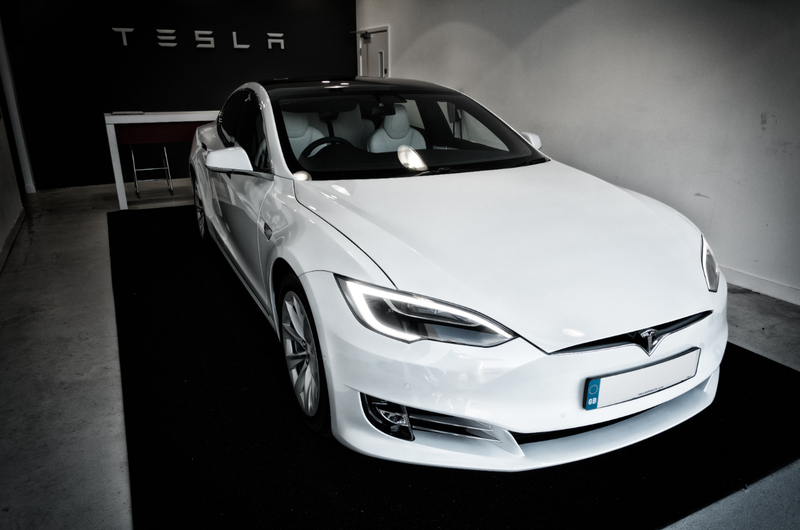 Are you considering an EV for your next vehicle? If not, why? Let me know in the comments below. For decades radio telescopes have scoured the skies for signs of extraterrestrial intelligence but have found none. Why? Could it be we really are alone in the universe? Or is it that the truth has been withheld from us by a global conspiracy of silence? 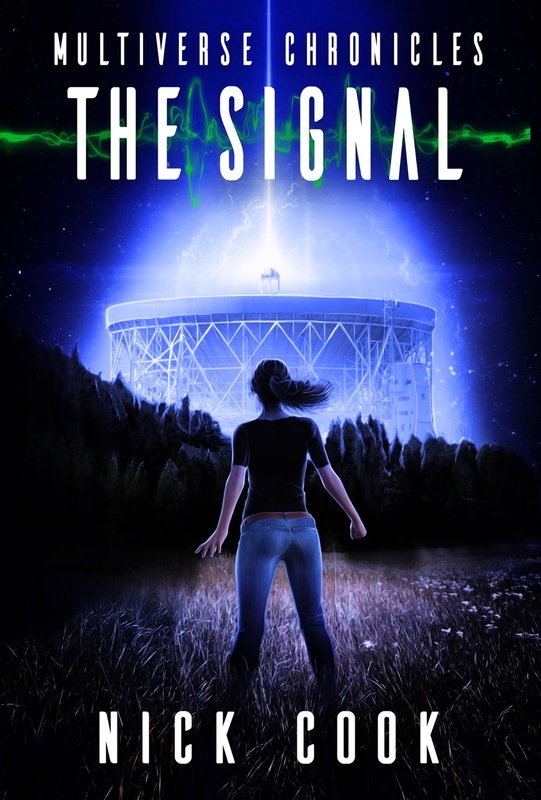 When radio telescope operators Lauren Stelleck, a woman with a special gift enabling her to literally see certain sounds, and Steve Andrews, a diehard sci-fi geek, detect a signal like no other at Jodrell Bank in England, a chain of events is unleashed that propels Earth towards all-out nuclear war. Can Lauren and Steve unlock the secret of the signal before our species tears itself apart? The Signal is a prequel novella to the Fractured Light trilogy, and is part of the Multiverse Chronicles, an epic series of interlinked stories that follows the struggle of humanity to survive across parallel universes. 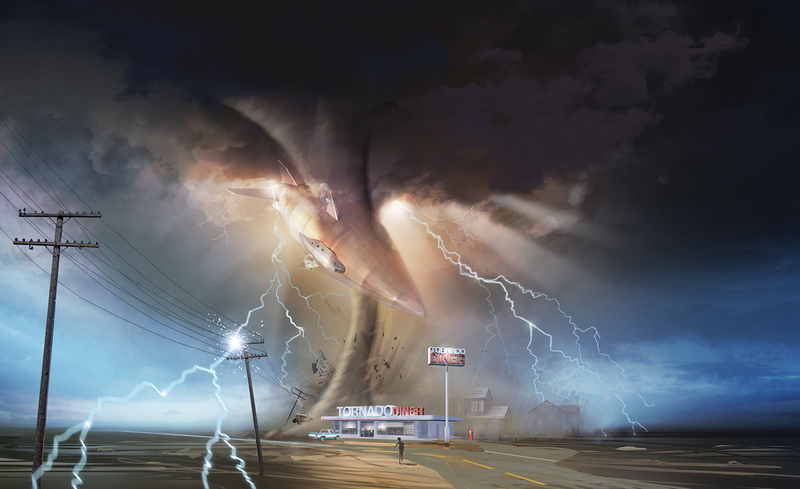 Watch the skies because the darkness is coming for us. Today is the culmination of years of work as I launch myself into the world of indie publishing with my new company, Voice from the Clouds. 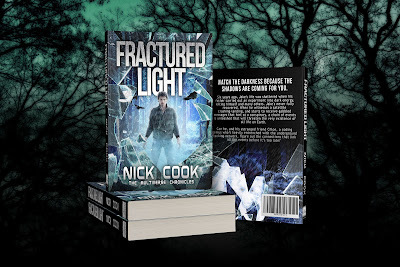 To mark that launch I’m giving away The Signal, a novella set in my new Multiverse Chronicles series. 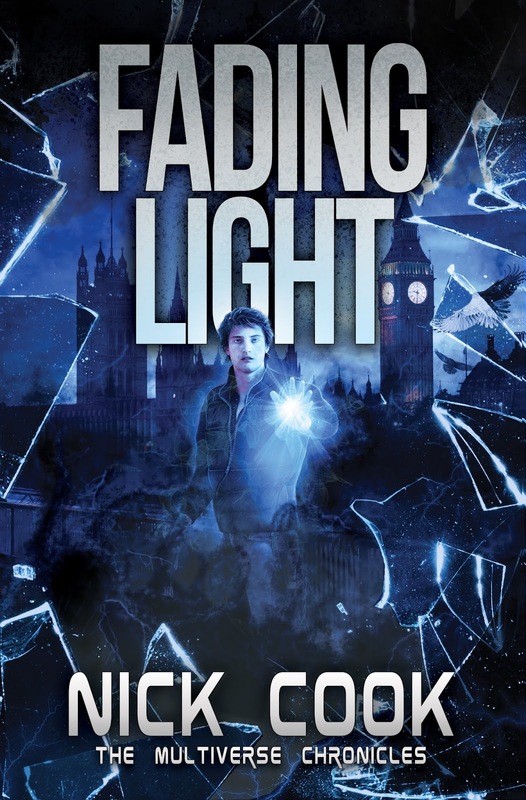 If you love epic science fiction storytelling that spans many interlinked tales, then this series will be for you. To mark this special moment I’m going to make The Signal free to the readers of my newsletter. 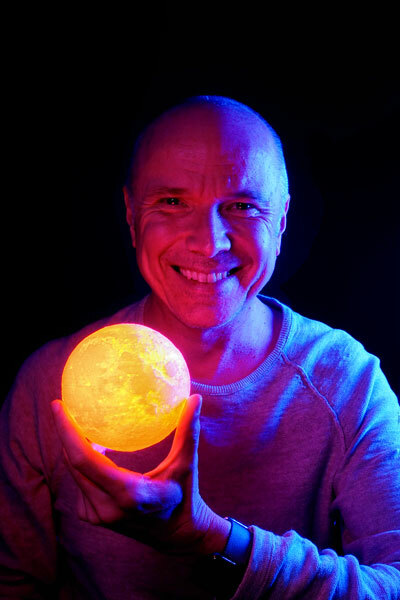 All I ask is that you subscribe and in return, apart from being able to read The Signal for free, I’ll keep you updated with news about my books and other books that I think you might love too. I also want to hear back from you on here, or via email, or on Facebook. I view the journey ahead as a collaborative one between me the author and you the reader. Subscribe and let that journey into a multiverse where humanity is battling for survival, begin right here, right now. Please note that there is the occasional use of strong language in The Signal and the story deals with adult themes. Recommended age is 16+. Okay, big drum roll... 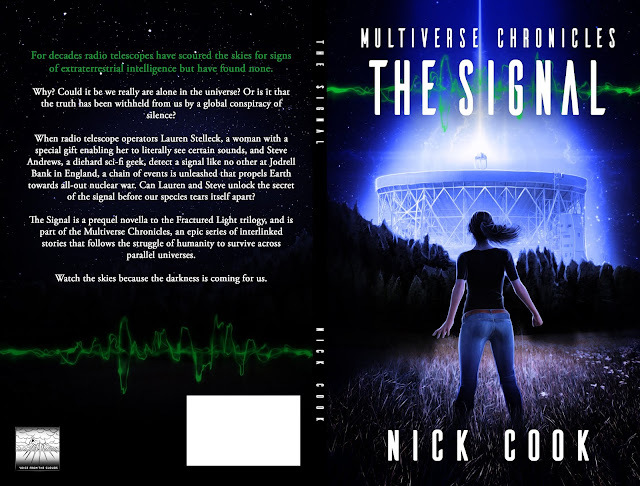 Here is the front cover The Signal, the first story in my new Multiverse Chronicles series. 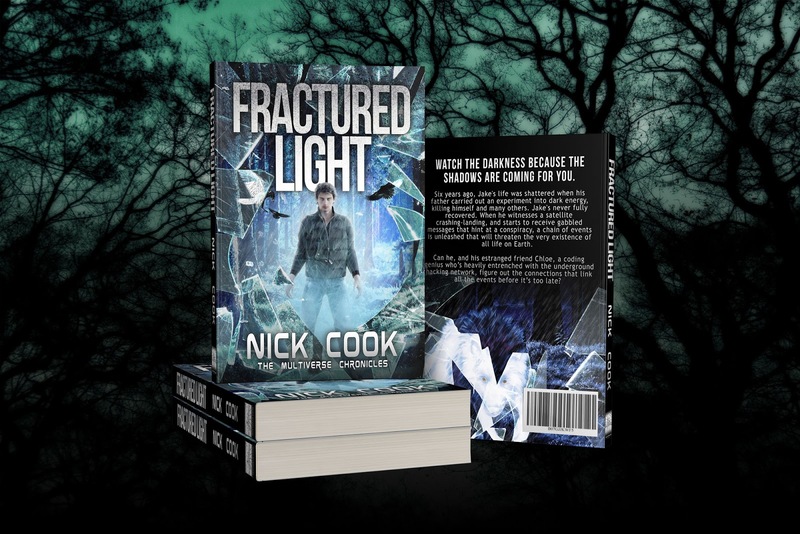 The Signal is a novella that links to my Cloud Riders trilogy to my new Fractured Light trilogy due to be launched on the 1st September 2018. I just love the epic movie poster feel of this cover that talented designer Ryan Schwarz came up with. Brilliant. I had a blast writing The Signal and I hope you'll love it as much as I loved writing it. One thing to note is that this particular book has a suggested minimum age of 16+. The reason for this is I explore more adult themes in the story and there is the occasional use of strong language. Now to the best news of all. The Signal will be available as a free download to subscribers of my newsletter. How cool is that! So what are you waiting for? Subscribe now and you'll be eligible to download it from 9am GMT on the 12th July 2018. I can't wait for you all to read this. I've run a lot of writing workshops over the years and have been given quite a few drawings by students inspired by Cloud Riders. But today I received an email with an attached image that took this to a whole other level. This is the work of David Carpenter, an exceptionally talented illustrator who I had the pleasure to meet at the MCM Comic Con in London a couple of years ago. Out of the blue yesterday, he sent me this amazing image and it's like a scene straight out of the movie that Cloud Riders so needs to be turned into one day. David, thank you so much for sending this to me. It absolutely made my day. Hollywood/Netflix, see what Cloud Riders could look like on the screen!